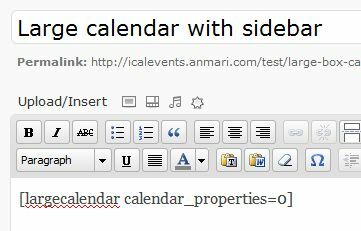 In most of the sample list types or templates provided, some calendar properties are displayed at the top of the list, including the icon link to subscribe to the whole calendar. Pretty much all the shortcode parameters can be used in the url as a query parameter to play around with the display. This is also how the widgets or shortcodes can interact with each other. 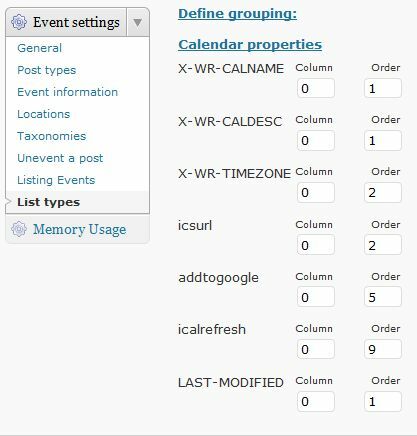 To remove permanently, set all column values for the field to 0 – this disables the fields. To change set columms, order of fields and before/after text or html as you desire. Please validate your html afterwards in the page.